Lewis Acker came to New Zealand as a harpooner on an American whaler about 1831, and stayed. After being employed at shore whaling stations he turned to boat building and settled at Stewart Island with his Māori wife, Mary Pi, and their nine children. 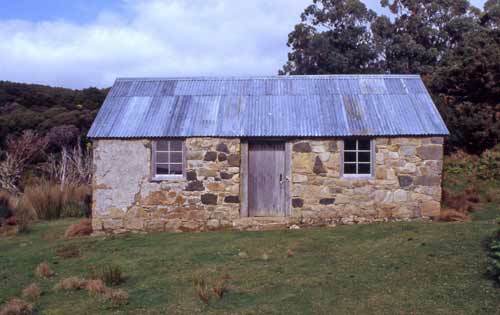 It is said that Acker built his stone house at Harrold Bay in imitation of his childhood home in the United States.